Dr. Shea F. Stevens attended New York University School of Dentistry Implant Residency and Maxi Course and has accumulated hundreds of hours of post-graduate studies, and time spent studying with leaders in the dental profession, including: Dr. Carl Misch, Dr. Maurice Salama, Dr. Charles Martin, and Dr. Balshi, the pioneer of Teeth in a Day and the All-on-Four dental implant procedure. Dr. Stevens is trained in both the placement and the restoration of Lancaster, PA dental implants, making him a leader in the implant dentistry field. 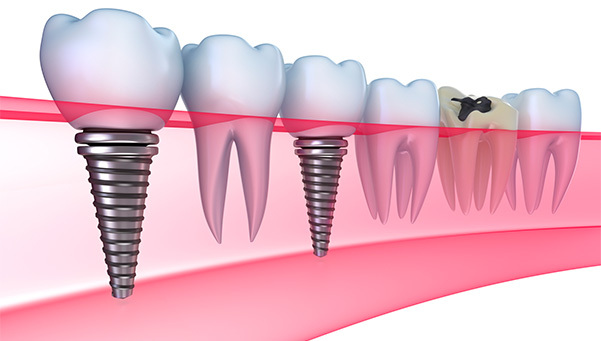 What can Lancaster, PA dental implants do for you? 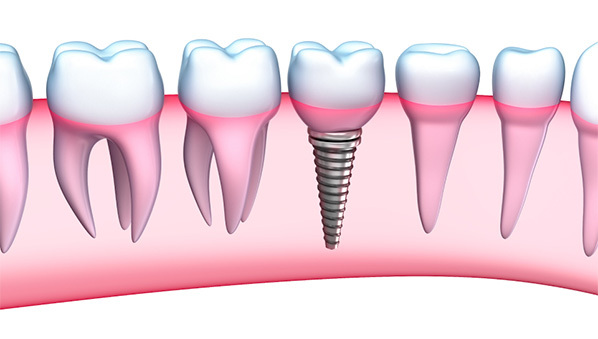 At Smiles by Stevens, not only do we perform the surgical placement of dental implants in Lancaster, PA, but we restore them, as well, so one doctor can complete your entire procedure in one office. Additionally, we can treat your entire general and cosmetic dental needs for you and your family, including your regularly scheduled cleanings and many other services. This dramatically increases efficiency and convenience for you, ensuring a comprehensive approach to diagnosis and treatment planning. Our office has an i-CAT 3D Cone Beam to assist us in the dental implant process. For many patients, the use of traditional x-rays is sufficient; however, the 3D CAT Scan provides detailed imagery of the remaining teeth, bone, nerves and tissue, making our Lancaster, PA dental implant surgery easier and safer, especially in more complex cases. Dr. Stevens, the first choice for all cosmetic and implant dental services, also received training and certification in the area of facial rejuvenation, due to several requests from patients. He received his training from Aesthetic Trainers LLC, Cosmetic Dentist – Dr. Louis J. Malcmacher DDS, MAGD and Dermatological Surgeon – Dr. Karen S. Harkaway, M.D. Dr. Stevens strives to keep current on the latest techniques and standards, so he can provide his patients with the safest operations that also deliver optimal results. Our entire team is dedicated to providing you with excellent, personalized care to make your consultation and cosmetic procedures as comfortable and pleasant as possible. We thank you for allowing us to take care of your cosmetic enhancement needs, and we look forward to building a relationship with you. Juvéderm® Ultra and Juvéderm® Ultra Plus are new gels with an extremely smooth consistency. Their active ingredient, hyaluronic acid, is a natural substance already present in the body and provides volume, hydration, and fullness to the skin. Juvéderm® is unique to other dermal fillers because it has the highest concentration of hyaluronic acid available, and is the first hyaluronic acid filler available in a smooth gel formulation.